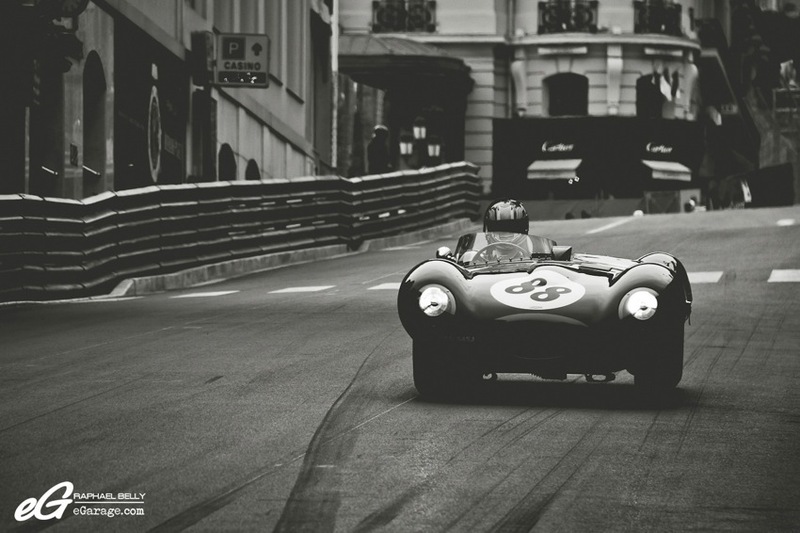 Established in 1997 by the Automobile Club Of Monaco, the Monaco Grand Prix Historique celebrates its 9th edition this year. 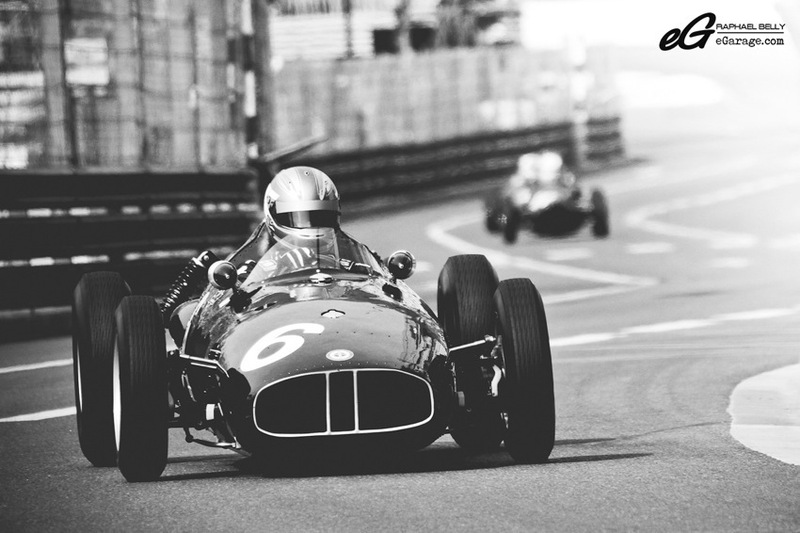 For its 9th symphony, 50 years of motor racing are commemorated through 7 exceptional series. Traditionally, the 3 days are planned so that the drivers briefing and qualifying are friday, more qualifying on saturday and the big race on sunday. I would like to break down the 7 series briefly here. Series A : Pre-war “Voiturettes” and Grand-Prix Cars no older than 1939, composed mostly of Bugatti (Type 35 and 51), and also a lot of Era B, etc. Series B : Formula 1 and Formula 2 Grand Prix cars manufactured before 1961 with cars such as Cooper T51, Maserati 250F, etc. Series C : sports cars from 1952 to 1955 is the best series for me as it gathers a lot of interesting cars – 7 Ferrari (225 Sport Berlinetta, 250MM, 340MM, 500 Mondial Spider, 625TF, 750 Monza), 7 Maserati (A6GCS, 150/200S, 300S), and 7 Jaguar (D-Type and C-Type), etc. Series D : F1 Grand Prix cars – 1500cc from 1961 to 1965, gathering many F1 cars (Lotus, BRM, Brabham, Ferrari 1512, etc.). 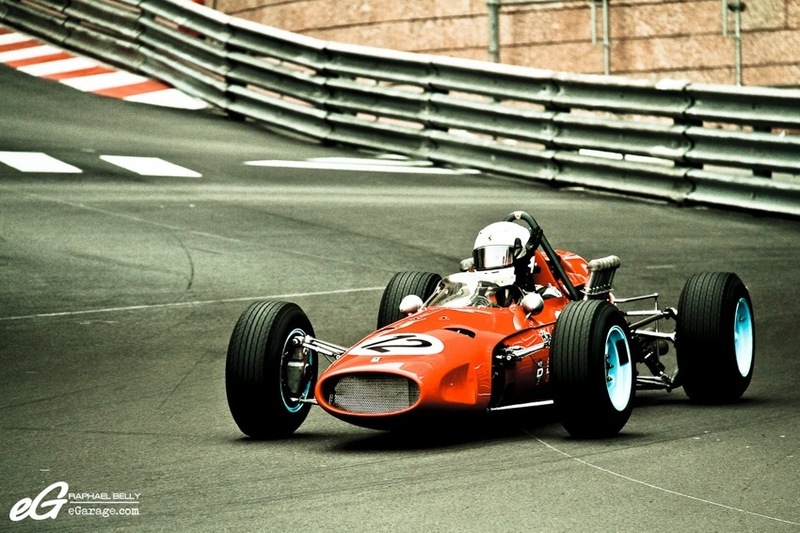 Series E : F1 Grand Prix cars – from 1966 to 1972 is composed of Ferrari 313B3, Mclaren M19C, De Tomaso F1, etc. Series F : F1 Grand Prix cars (from 1973 to 1978) is the series with the famous Ferrari 312T, the car driven by Niki Lauda in 1974. 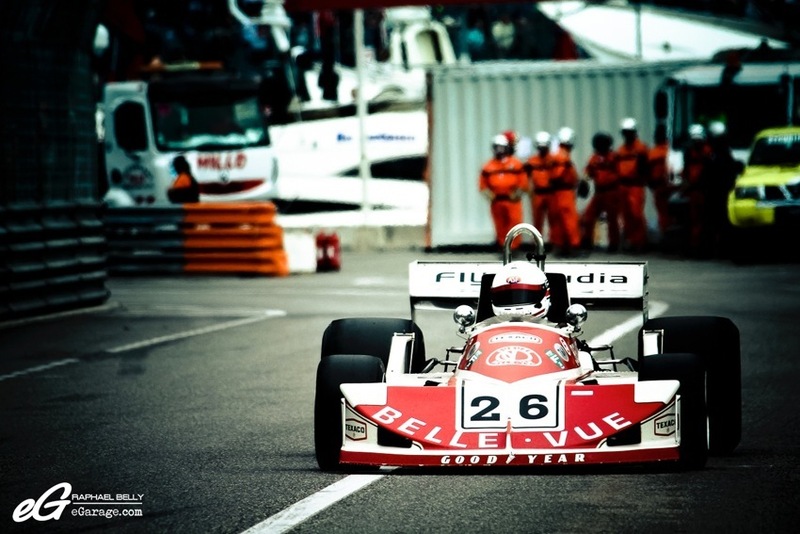 You can find other F1 cars such as the Mclaren M26 and M23, etc. 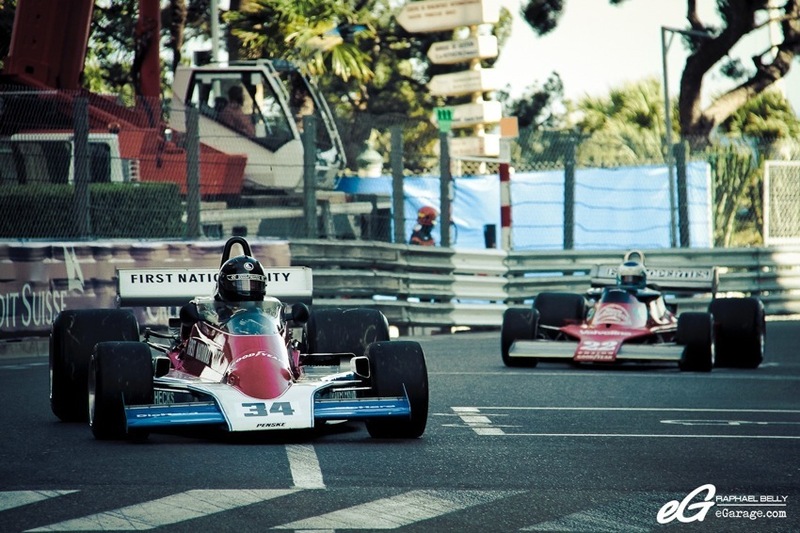 Series G : Formula 3 cars, 2 liters (from 1974 to 1978) sees fighting cars like Chevron B34, B38, March 743, 763, 783 and Ralt RT1, etc. As true car enthusiasts you surely are, I’m sure you watched the “Rush” movie in theatre like I did. 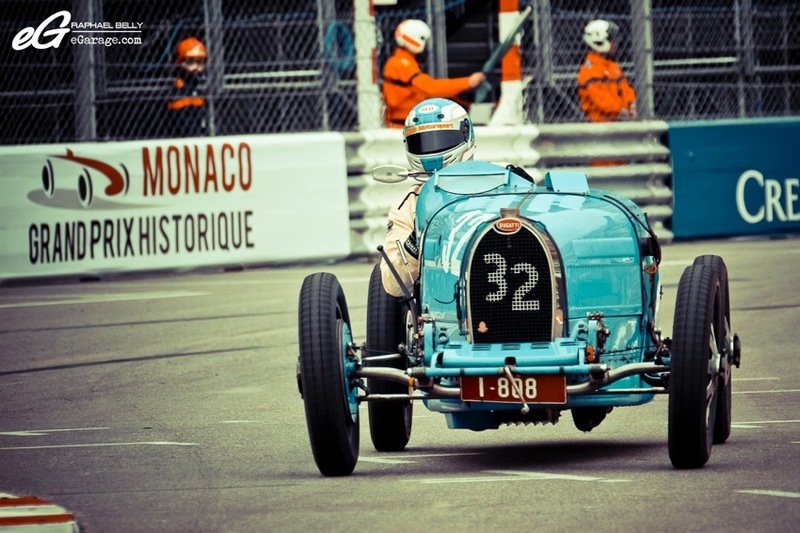 I couldn’t stop thinking about the Monaco Grand Prix Historique. 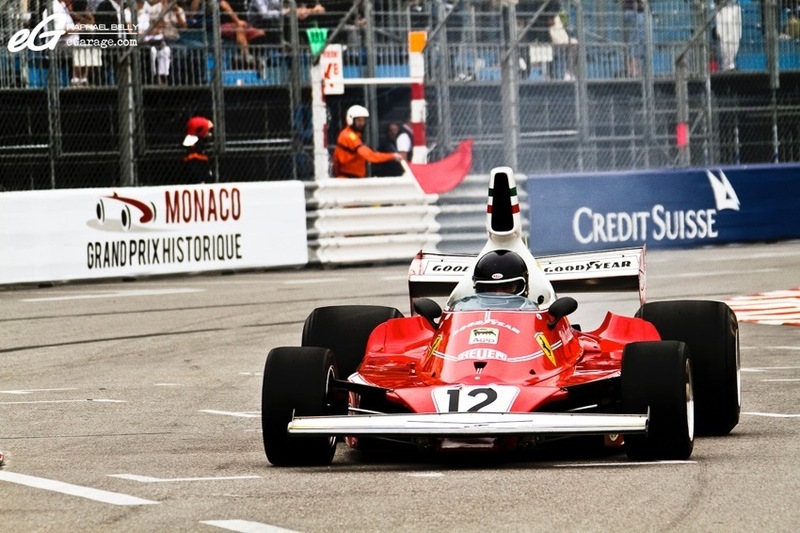 One of the main heroes and cars of this beautiful movie was the legendary Niki Lauda and his Ferrari 312T. 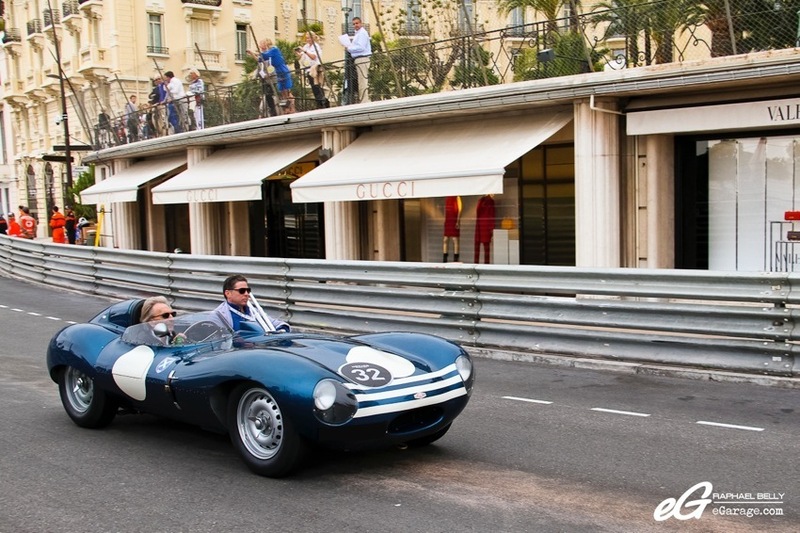 A car and man I’ve been lucky enough to see during Monaco Grand Prix Historique 2012 and this year again in 2014. Watching this movie made me anxious to be be on the track one year again. The set up of this Grand Prix is an immense amount work as it starts in middle of March. 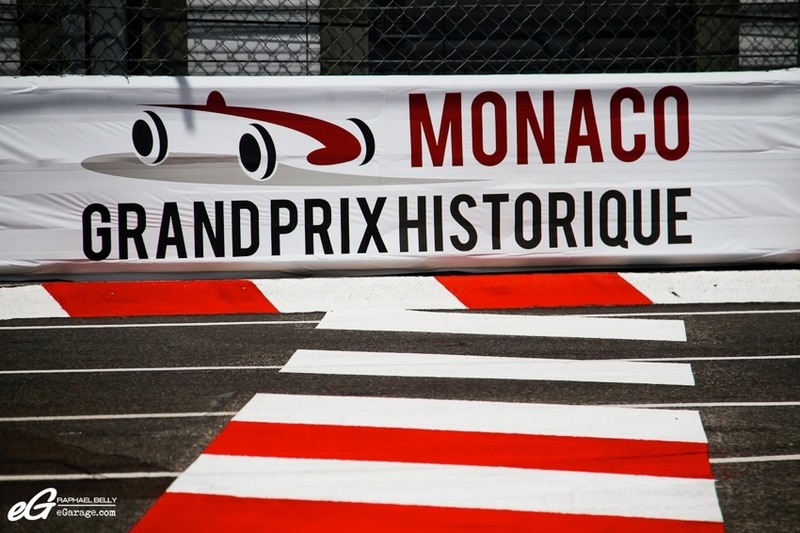 The track used for Monaco Grand Prix Historique is the same as F1 Grand Prix. It’s not a small GP for gentleman drivers, it’s a real GP. 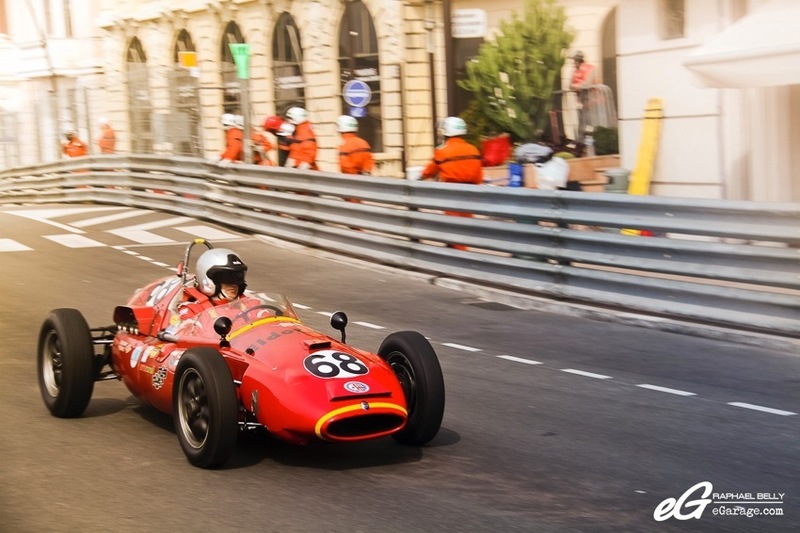 It’s the perfect time for classic car lovers to visit as there are a lot of small rallies arriving in Monaco during the Historique Grand Prix. 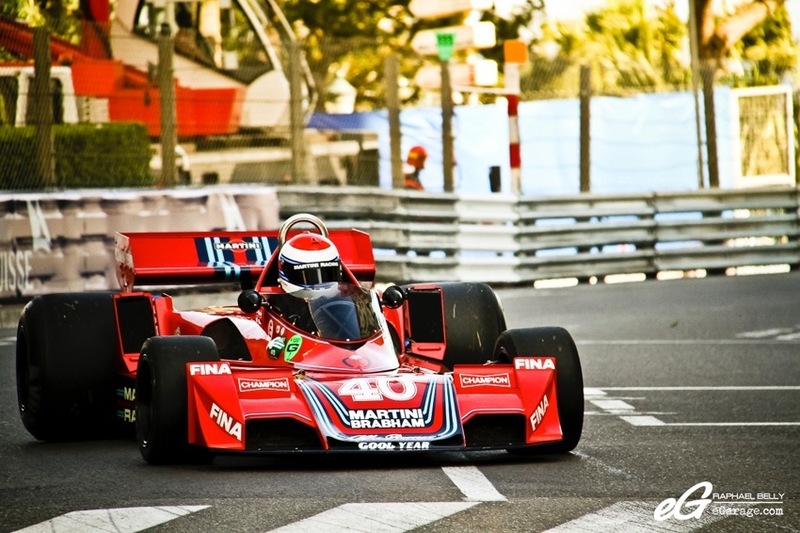 Both Monaco Grand Prix Historique and F1 Grand Prix évents are set up by the Automobile Club of Monaco (ACM). I would like to thank the ACM for allowing us to cover this event for second time. I write this article with words felt and taken from the heart of this magical event, and I hope that my pictures convey the strong and intense action of this Grand Prix. 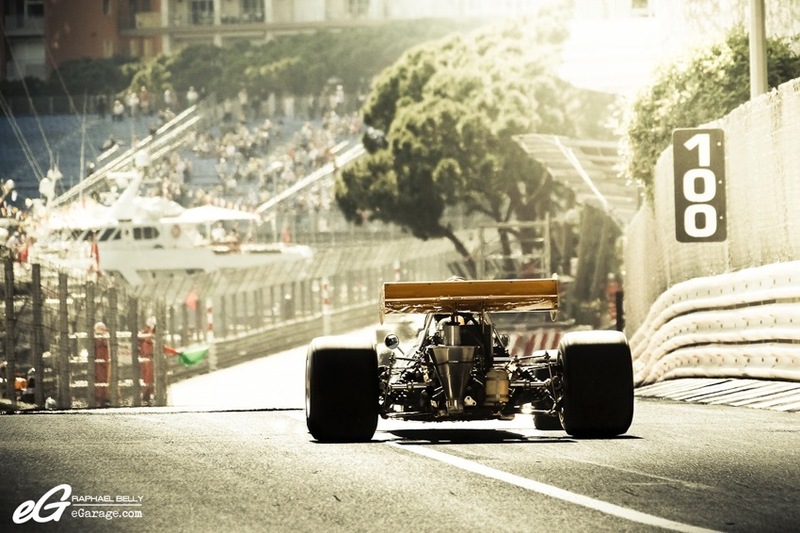 A strong and intense action that brings me back again to the atmosphère in the “Rush” movie : the drivers are not playing around Monaco racetrack, and the atmosphere at the track is indescribable. Monaco is a mix of speed (while not the fastest F1 GP track, the speed reached by these old cars still staggers), precision (as Monaco is a track inside a city the trajectories are really narrow and need a lot of concentration), and determination (as you can see the driver’s eyes behind the little windscreen and through the helmet – what you see in their eyes is strength, concentration and determination). Two hundred people work to set up the track and the difficulties arise as the city evolves. Pavement changes, new buildings, new roads, étc. Each year, 1/3 of the track is made new because of the daily wear and tear of the traffic : buses, cars, étc. During my walk around the track, I met Cédric Forino, a Monaco resident, and the inspector at the Monaco Grand Prix Historique. “I applied at the post of controller for the A.C.M at the age of 18 and I began to work the first year for two days, on Saturday and Sunday. Then, very fast after two years, during 4 days of the Grand Prix F1 from Thursday till Sunday, but also during Grand Prix Historique Saturday and Sunday. My role consists in checking the doors of access towards stands, the accesses footbridges according to sectors as well as certain accesses track, used by track commissioners, but also by photographers. What was especially impressive was the start up of all the engines in the pits, very noisy (hearing protection almost obligatory) but also when the racing cars passed a few meters away from us. The ground, the stands, and even your body vibrates along with the downshift of the old F1. 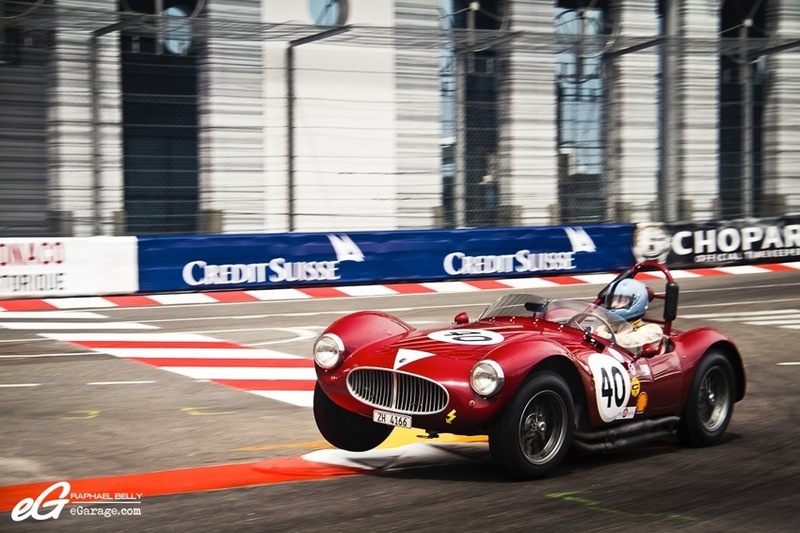 In between the races, you will see classic cars from the Credit Suisse parade. 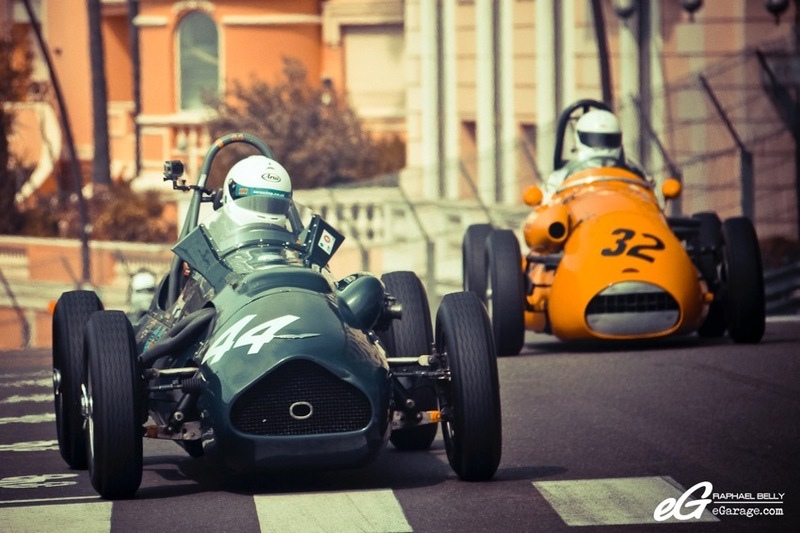 Every year, Crédit Suisse sets up a Classic Car Program allowing its best customers to drive on the Monaco Grand prix racetrack with their own cars. 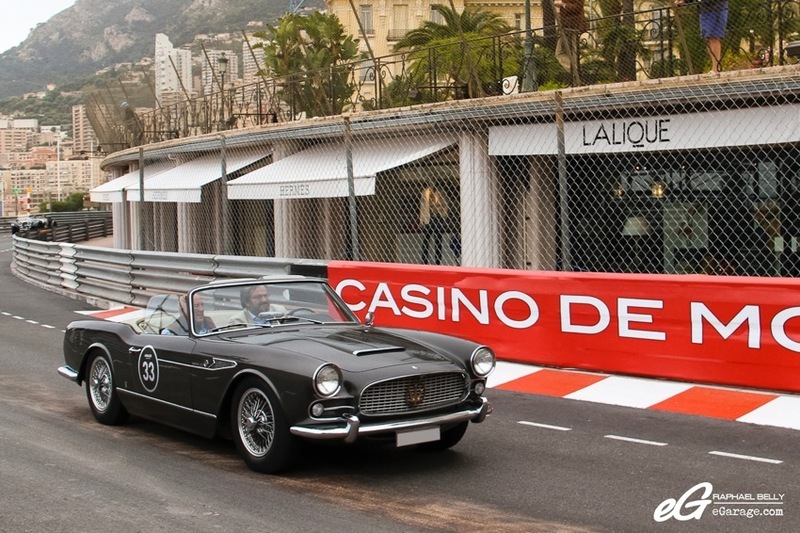 This year’s edition marked the 10th anniversary of this Classic Car Program during the 9th Grand Prix de Monaco Historique. 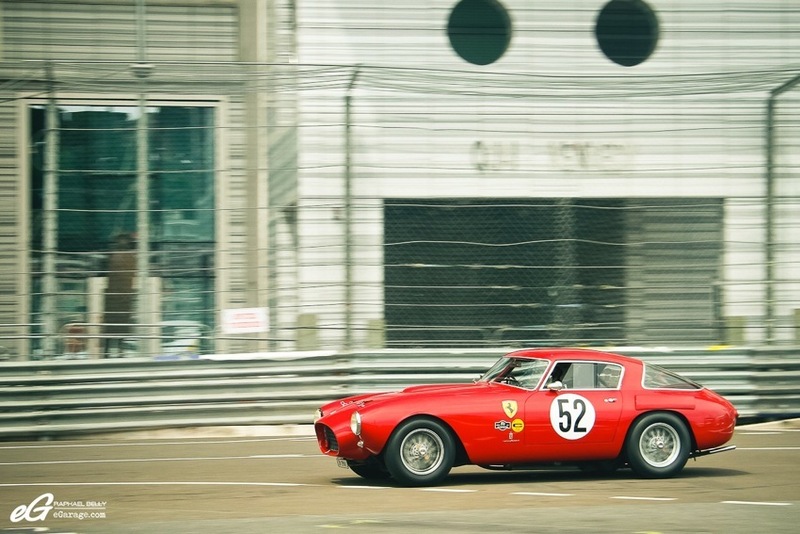 This is a great opportunity for the drivers to have fun on the track, and also for spectators to see rare and beautiful classic cars such as Mercedes 300SL (Gullwing and Cabriolet), a blue Jaguar D-Type, a rare green Ferrari 275 GTS, and a incredibly elegant Maserati 3500 GT Vignale Spyder in which Sir Stirling Moss, here in Monaco this year, got a passenger ride. He enjoyed this moment to greet the spectators along the way. On the racetrack, you can’t take pictures wherever you want, there are specific areas for photographers to take pictures. This year, the photo areas are reduced compared to 2012 so it’s hard to get the right spot since there are many other photographers. You have to settle where you want 20 or 30min before the race. I think the photo areas and overlooks were reduced for safety reasons. Unlike a standard racetrack like Paul Ricard HTTT, Monaco is made into a city so everything is very narrow and close, the cars are sometimes driving only centimeters from you. But this gives all the soul of this event. Whether it be photographers or track auditors we know what it is, this is Motorsport, with all the risks. Even as a simple track photographer most of your senses are stimulated. The ears from the screaming engines noise and the the wheels squeaking on the asphalt of the Principality. The noise under the tunnel is really unbearable. Even with my earplugs I had to put my fingers over my ears in addition. The nose is also stimulated with the unique smell of oil, gas and smoking wheels. The touch and the taste are the only senses that may remain not needed even if touching a car can be done as the cars are passing by so close from you. 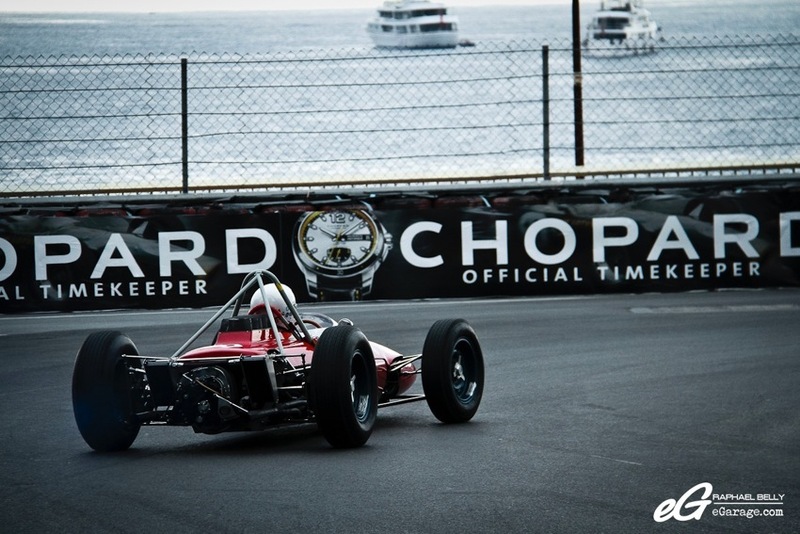 At the famous Fairmont Hairpin, there is just 10 centimeters (the width of the rail) between you and the car. For the taste, don’t underestimate the possibility of tire “gum” to jump in your mouth gradually over the life of the race and death of the tires. 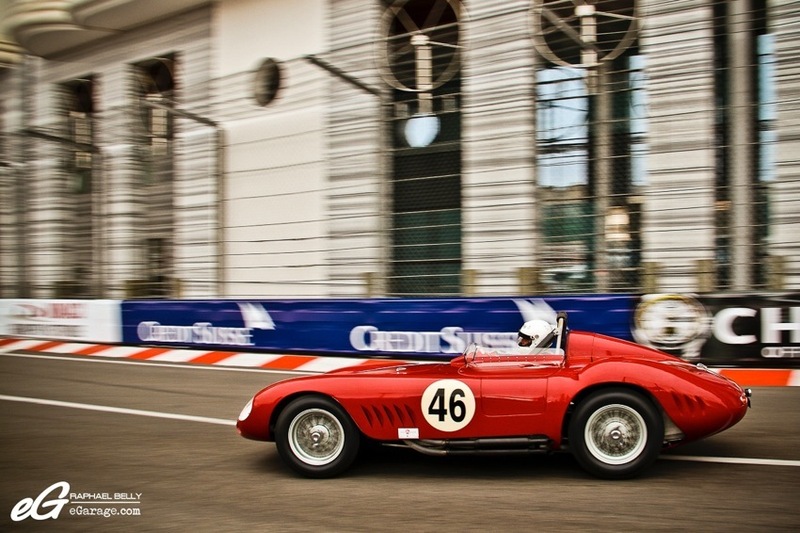 Like a lot of classic car events, Monaco Grand Prix Historique also hosts auctions. 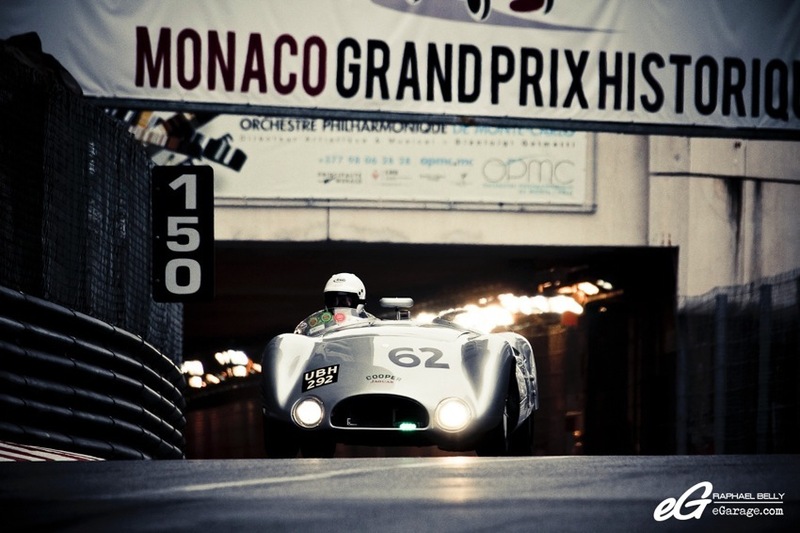 At Monaco, it’s the RM Auction a wonderful opportunity to see other collectors cars. Set up in Le Sporting (a big resort complex built over the sea in 1974), this year again the RM Auction plateau is incredible. The prices pass by with an astonishing speed and the speaker Max Girardo leads the auction with his inimitable style by adding rhythm and humor to the auction sale. He manages to relax the seriousness that is an auction sale and puts the very high prices in perspective. As a matter of fact, the sale prices are from another world. Without surprise, it’s the Italian cars where the prices were the highest. 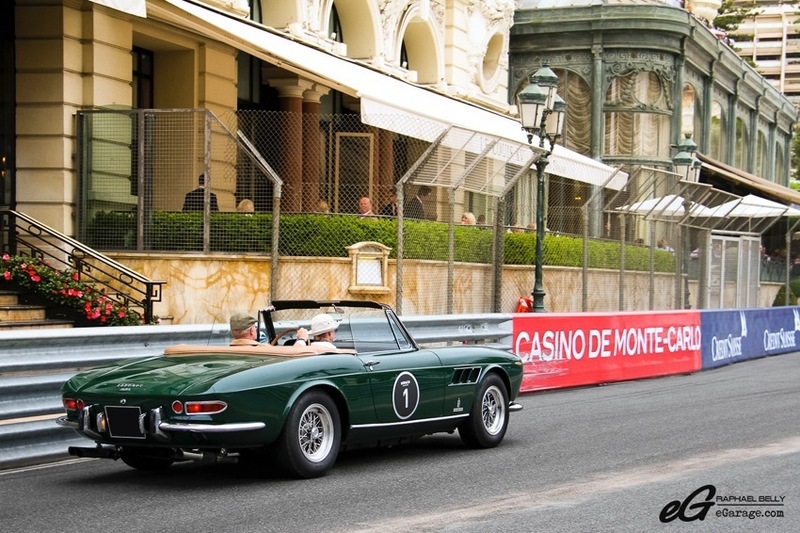 The star of the 2014 RM Auctions Monaco was the Ferrari 250 GT Cabriolet Pininfarina Series I and the Ferrari 275 GTB/C (Competition), very rare cars and a few units ever built. The prices flew away and finally get to 4 704 000 € for the 250 GT Cabriolet and 5 712 000 € for the 275 GTB/C ! Just behind those, we find three more Italian cars sold over the million euro mark : a 1967 Ferrari 330 GTS sold for 2 128 000 €, a 1967 Ferrari Dino 206 Spider sold for 2 072 000 €, and a 1968 legendary Alfa Romeo Tipo 33/2 Daytona sold for 1 260 000 €. 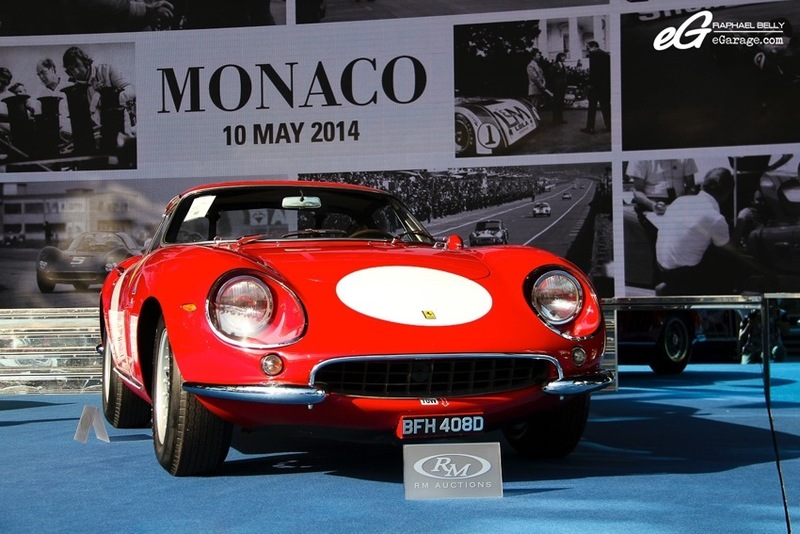 A total sale of 41 355 430 € was reached in Monaco, including cars, boats, and bikes. 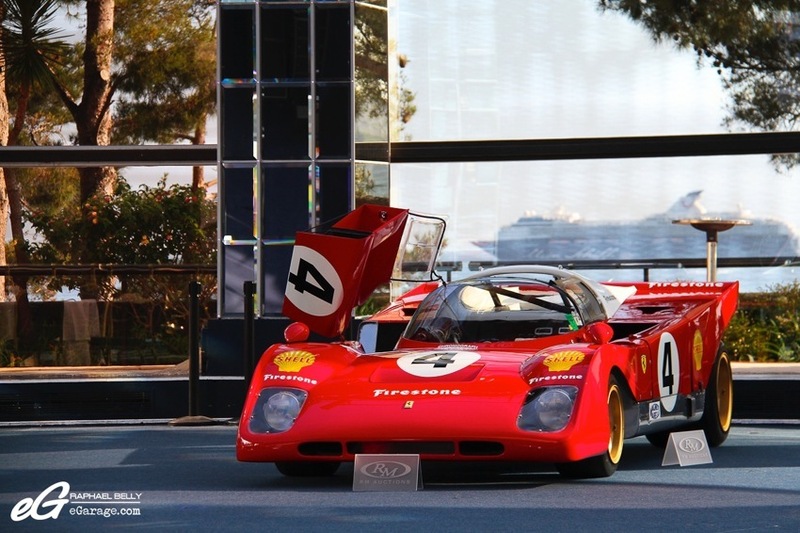 This marks for RM Auctions the best auction sale ever in Europe with ten world record sales. 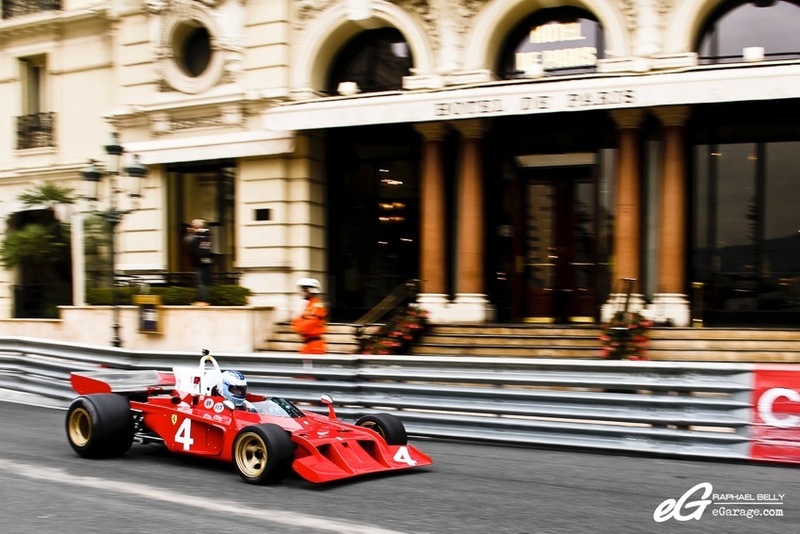 Let’s finish with this record in mind, reminding us that Monaco remains the car paradise for every car enthusiast.